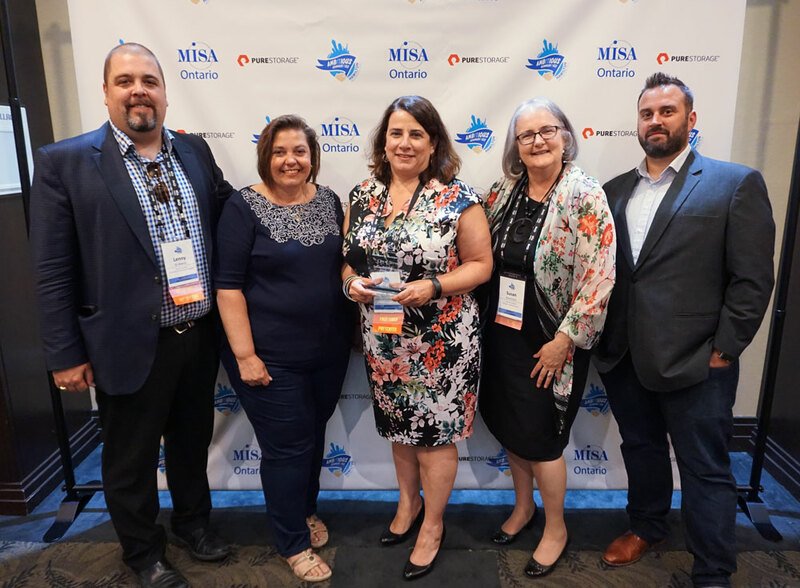 Every year, The Municipal Information Systems Association (MISA) of Ontario recognizes municipalities, individuals within municipalities and organizations for excellence in the use and delivery of technology. A panel made up of representatives from various municipalities selects award recipients from all nominations received. This year had a record number of submissions. 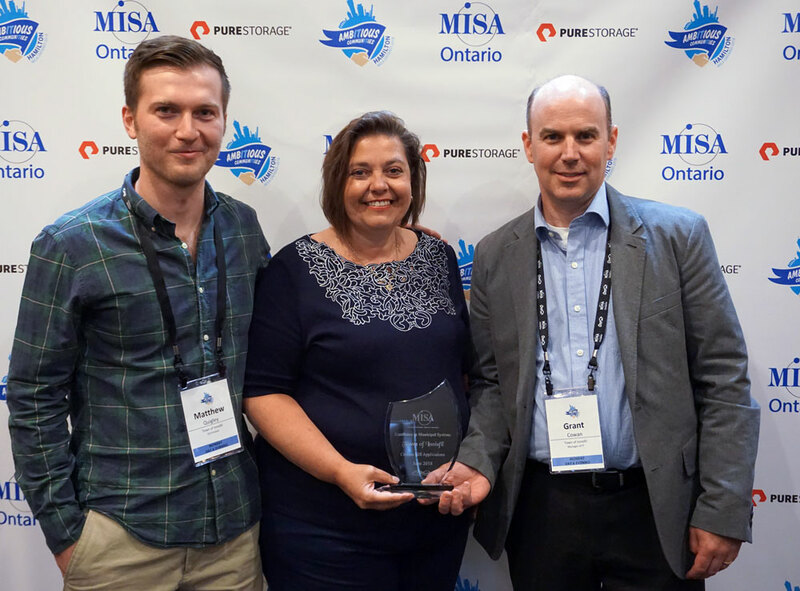 Awards were presented at the Annual Conference Awards Banquet on June 4 in Hamilton, Ontario. 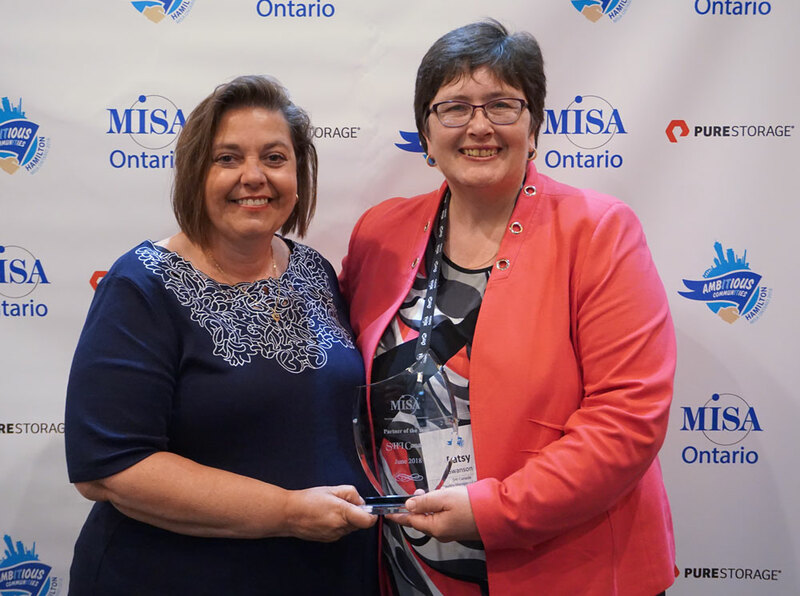 Winners accepted their awards from MISA Ontario President Connie McCutcheon. 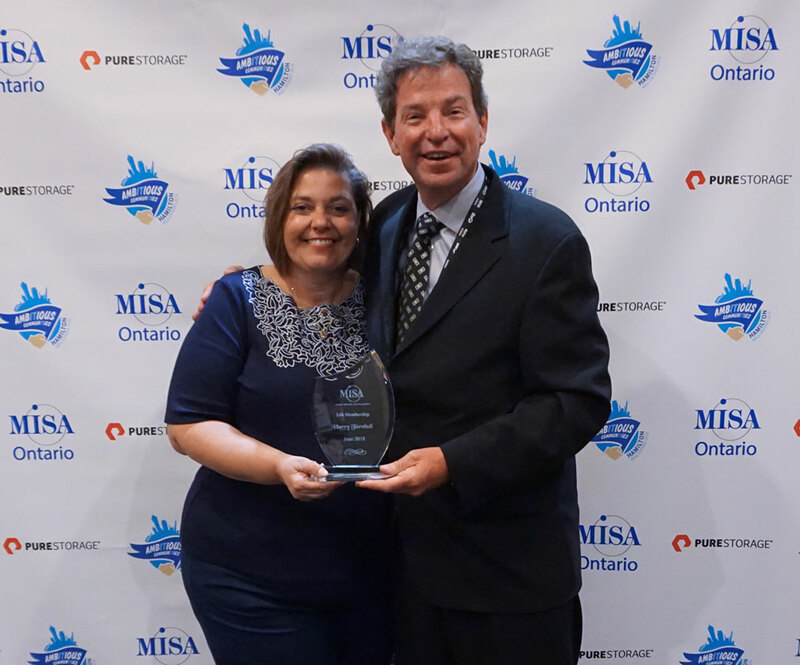 This year the People’s Choice Award went to the Town of Innisfil. 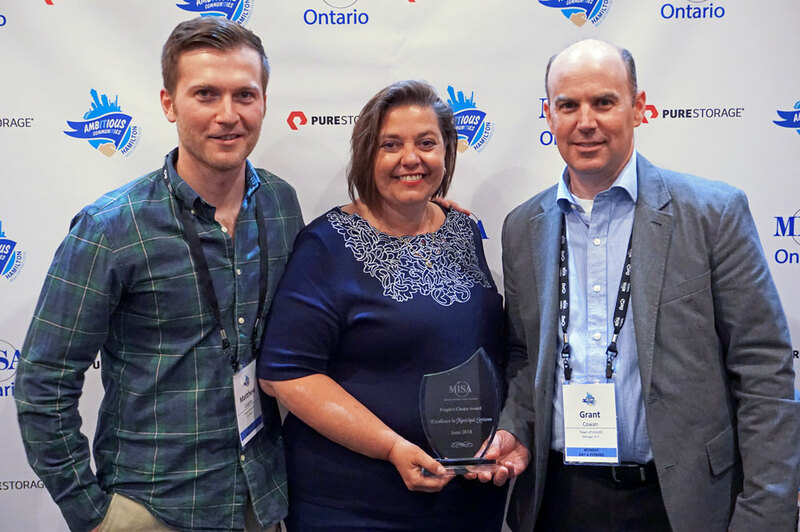 Partner of the Year Award was presented to SHI Canada for their ongoing support of the association. Country Manager for SHI Canada, Patsy Swanson, accepted the award. 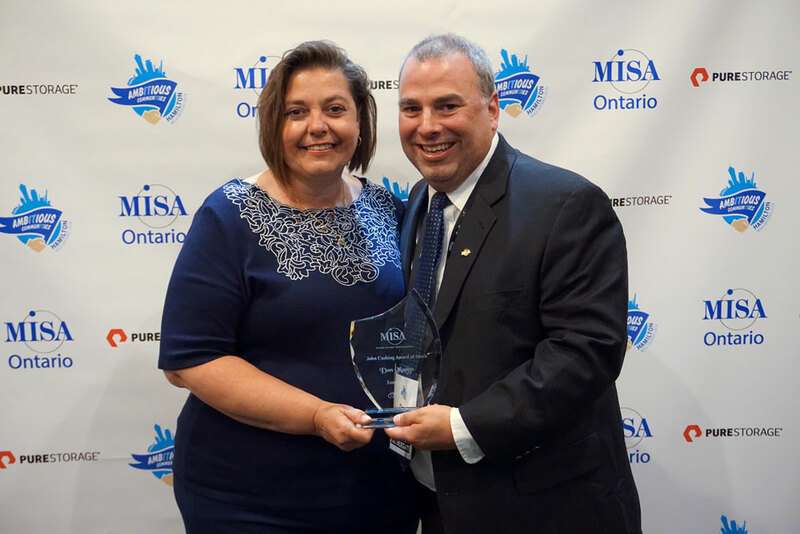 The highly distinguished John Cushing Award of Merit was presented to Daniel Munns from the Town of Whitby for his years of long and exemplary service to MISA, being a champion for small municipalities, and a dedicated board member since 2009. 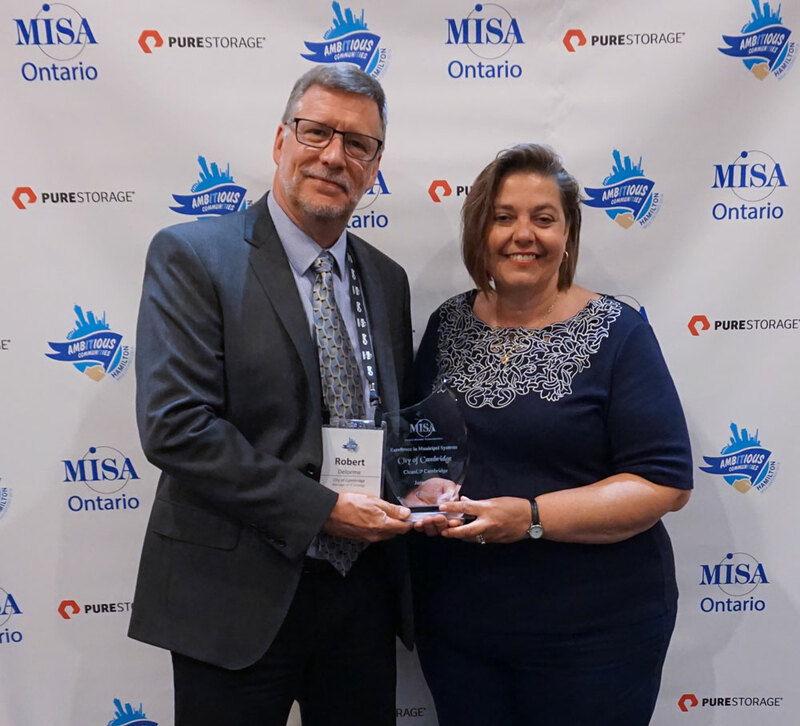 The Lifetime Membership Award recognizes individuals who have been active in the association including participation on committees and the Board of Directors for a number of years. Harry Turnbull, from the City of Windsor, received this award for his dedication to association over the years. Garry Bezruki, formally of the City of Waterloo, also received this award for his previous service as Treasurer on the Board of Directors. 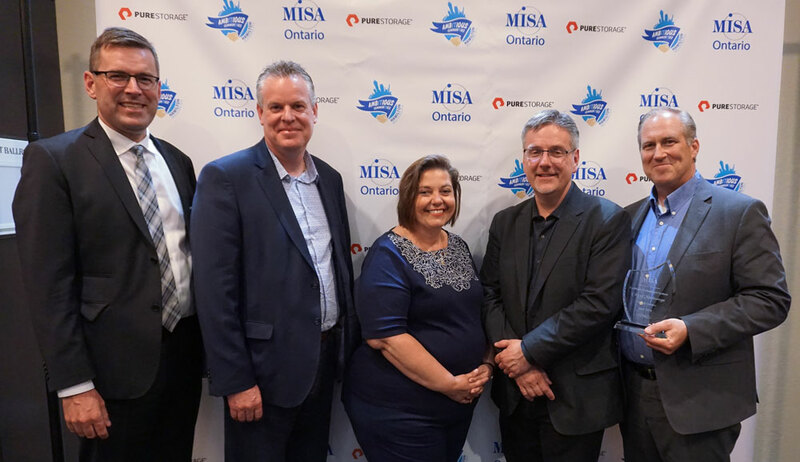 On behalf of MISA Ontario, we congratulate this year’s nominees and winners. 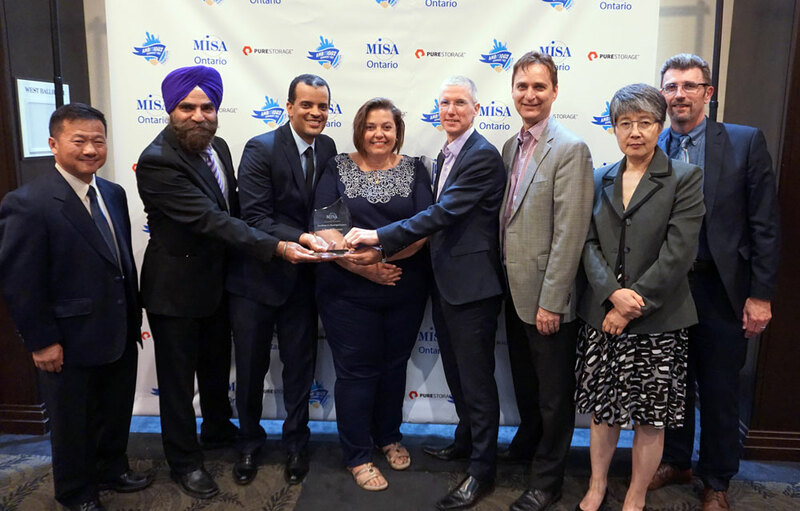 All winning submissions for “Excellence in Municipal Systems” awards will be available on the MISA Canada website later in June. 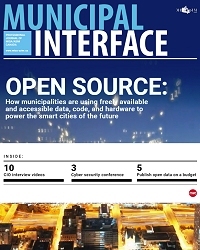 Any inquires please contact MISA Ontario's Community Manager, Jacqueline O'Hara.